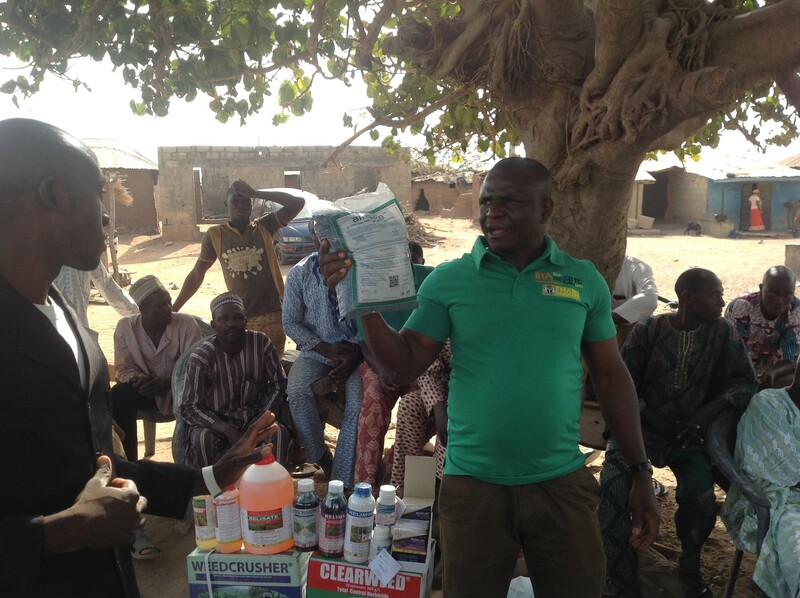 A Harvestfield staffer spreading the word on Aflasafe in Kwara State, Nigeria, during Harvestfield’s February aflatoxin awareness campaign. In February 2017, ATTC’s new Aflasafe™ commercialisation partner, Harvestfield Industries Ltd, who will manufacture and distribute Aflasafe in Nigeria, engaged in an intensive and extensive aflatoxin-awareness campaign – crucial when offering a solution to a silent, invisible and little-known killer. Fanning out across the country in a simultaneous six-team-strong effort, Harvestfield covered all six of the countries geopolitical zones in a campaign running from 12th to 16th February. The company reached 54 communities across 28 states. The campaign helped Harvestfield refine its awareness-creation and marketing approach for Aflasafe, feeding a second large-scale follow-up campaign. 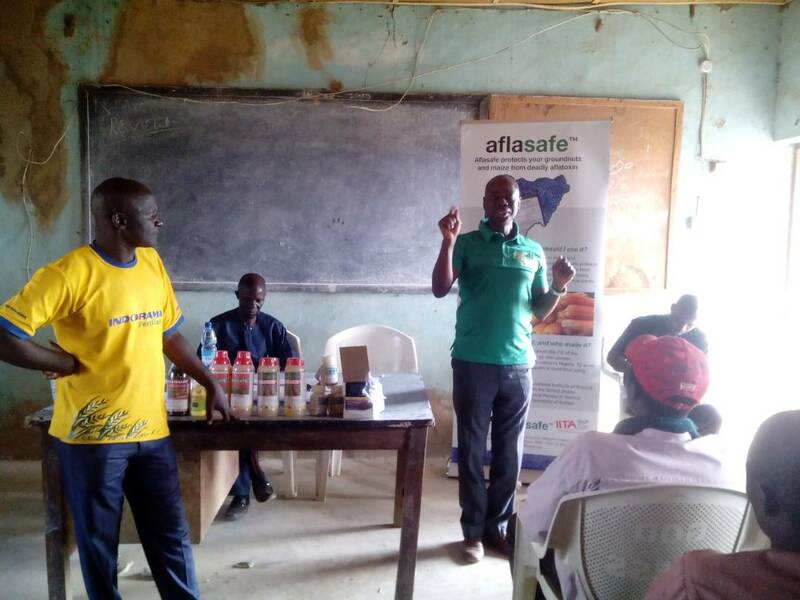 Dr Abdullahi Ndarubu (in green t-shirt), Head, Strategic Business Development at Harvestfield Industries, explaining the dangers of aflatoxin and benefits of Aflasafe to farmers in Saminaka, Kaduna State during the awareness campaign in mid-February. Kaduna falls in Nigeria’s maize belt. Harvestfield specialises in crop-protection products. Harvestfield are reaching farmers, millers, farm-produce aggregators, exporters, food processors and the general public with knowledge of aflatoxin and how to tackle it with Aflasafe. We are thrilled to be part of this exhilarating effort, and to support it every way we can with our blossoming multimedia bouquet. Earlier on, in preparation for this step-down training, ATTC trained staff from Harvestfield and the Federal Minstry of Agriculture late last year, who are now tested and proven trainers in their own right. Aflasafe protects groundnuts and maize from deadly aflatoxin. ATTC has previously been on the aflatoxin-awareness campaign trail before with both Harvestfield and the Ministry of Agriculture.